The 49ers coaching staff has made it a priority in training camp to keep their players healthy for the beginning of the regular season. Thursday’s preseason opener saw that plan go down the drain. The 49ers had five players go down with injuries in the first quarter of their 24-21 win over the Dallas Cowboys — four of whom were starters. 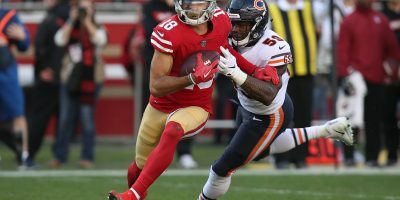 The casualty count: Inside linebacker Malcolm Smith, defensive lineman Solomon Thomas, tight end George Kittle, running back Matt Breida and offensive lineman Garry Gilliam. Smith was the first to happen as the former Seattle Seahawk pulled a hamstring after taking reps at weak-side linebacker with the 49ers first-team defense. Making his return from a torn pectoral muscle that cost him the entirely of the 2017 season, Smith saw only three snaps before having to call it an early night. 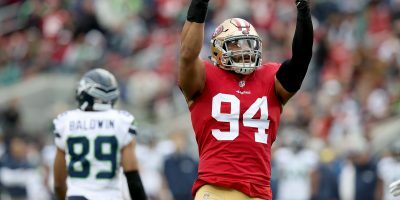 Though he was able to walk to walk under his own power, the setback is discouraging for a 49ers linebacking corps already without rookie Fred Warner — who many expect to replace Alabama star Reuben Foster during his two-game suspension in Weeks 1 and 2. The very next defensive series, the 49ers had another player go down. This time: Thomas, the second-year defensive end out of Stanford. 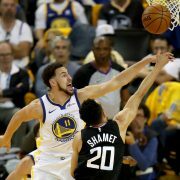 Creating inside pressure against Cowboys quarterback Cooper Rush, Thomas fell victim to friendly fire from 49ers outside linebacker Cassius Marsh. Coming off of the edge, Marsh fell on top of Thomas, hitting him in the head in the process. Players kneeled around Thomas as he spent nearly three minutes on the ground being tended to by the 49ers medical staff. Thomas was able to walk to the locker room under his own power but was ruled out with a head injury. Unfortunately for the 49ers, that was just the beginning of the injury hailstorm that pelted their roster. Shortly after Smith and Thomas exited the game with injuries, Kittle and Breida each suffered shoulder injuries in back-to-back series. 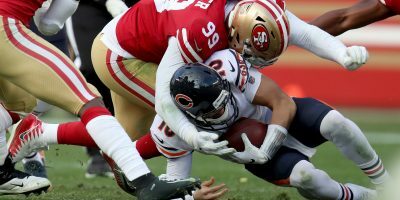 Coming over the middle of the field, Kittle was overthrown by backup quarterback C.J. Beathard. As Kittle stretched out to at least attempt to make the catch, he was hit high and low by Dallas defensive backs Kam Kelly and Xavier Woods. Kittle was slow to get up but ran to the sideline grabbing his shoulder. After being looked at by the 49ers medical staff, he, too, went back to the 49ers locker room, ending his night. As for Breida, his shoulder injury came only a series after Kittle’s. After being tackled in the backfield on a designed run to the left, Breida hopped up grabbing is shoulder too. Breida’s injury looked to be less of a potential sprain and more of a stinger. Regardless of the severity, Breida’s night was over fast, making him the fourth starter to sustain an injury in the first quarter. But starters weren’t the only lost players in the early goings of Thursday’s game as Gilliam, a second string tackle went down with a head injury, similar to Thomas. It was unclear what exactly happened to the Penn State product on the line of scrimmage but by leaving the game, he marked the fifth 49ers player to sustain a night-ending injury. 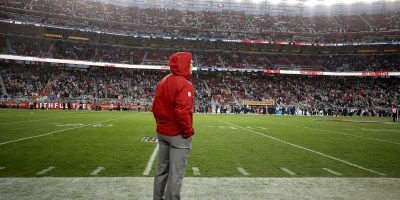 Shortly after Gilliam’s departure, the 49ers pulled all starters from the field in attempts to mitigate any more potentially season-altering damage as they could. But the damage may have already been done. 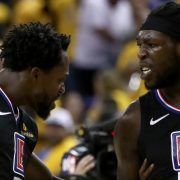 While the severity of each injury has yet to be seen, much of the work done to keep players healthy this preseason has been lost. 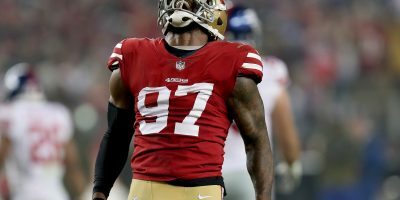 The 49ers will now shift gears to see how they will be able to fill the holes left by Thursday’s game and prepare for their first road game in Houston, Saturday, August 18. Nick Mullens led the game-winning drive in the final minutes of Thursday night’s game. Down 21-16, Mullens drove San Francisco 77 yards in six plays. On first-and-goal, Mullens hit Richie James in the middle of the field for the game-winning touchdown. 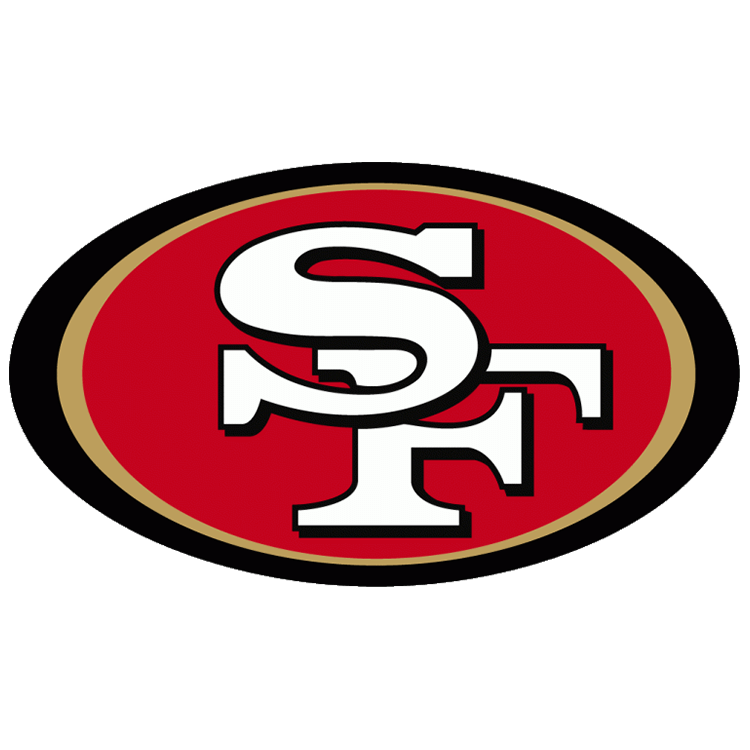 Up 22-21, San Francisco converted on a two-point conversion to extend their lead to three with 18 seconds remaining. 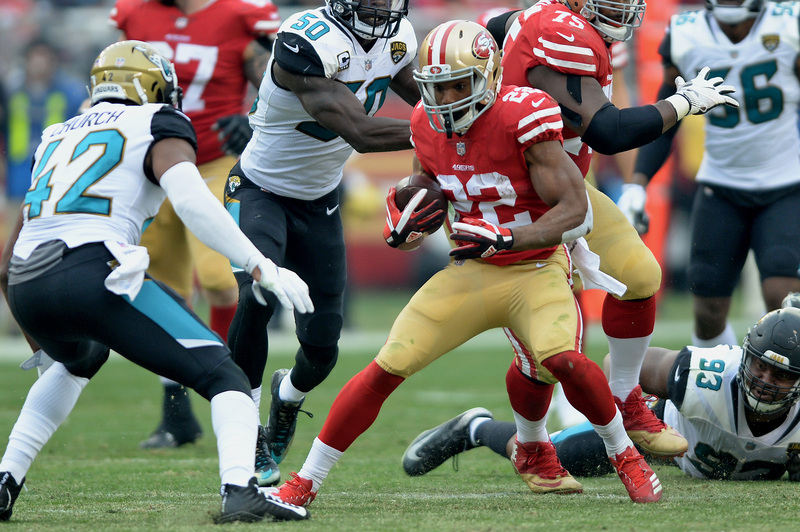 San Francisco would hold on in those 18 seconds to win their preseason opener. … Jimmy Garoppolo looked a little shaky in his one, and only, series Thursday. He completed only three of his six attempted passes for 34 yards as he saw his only drive end in a punt. 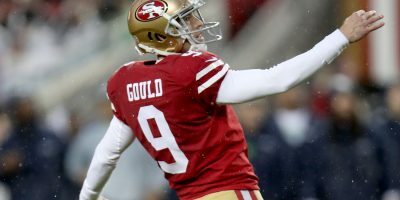 While it is only the first preseason game, the 49ers will surely like to see more from their $137 million signal caller in Houston. …Rookie right tackle Mike McGlinchey had a solid night pass protecting for the first and second team in the first half. Pass blocking has been a concern for McGlinchey in camp but it seems like the bright lights of the preseason may have been just what he needed to find his groove. Overall, the 49ers offensive line kept a clean pocket for San Francisco quarterbacks, in part thanks to McGlinchey. C.J. 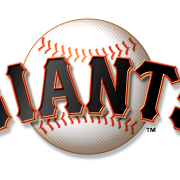 Peterson is SFBay’s San Francisco 49ers beat writer. 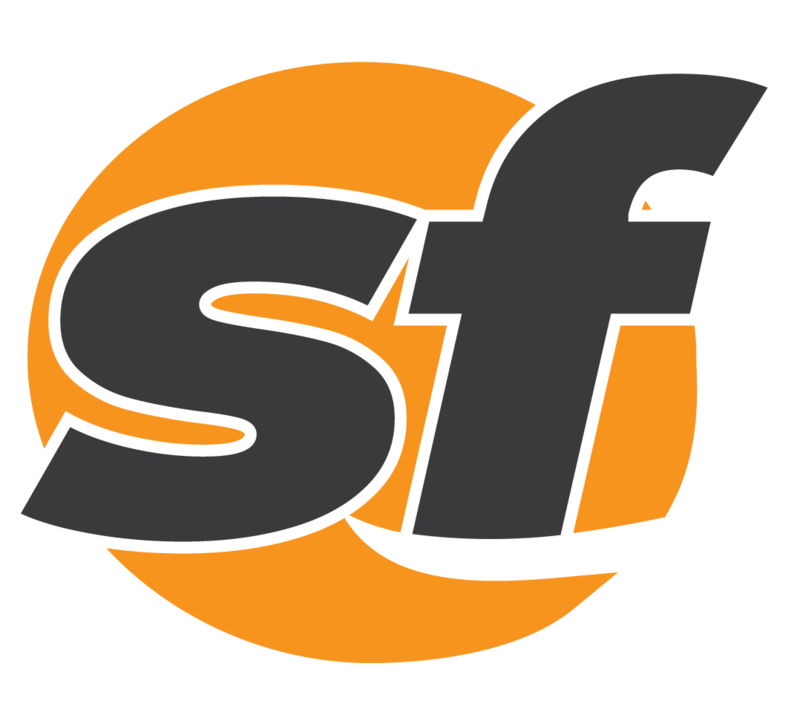 Follow @SFBay and @cj_peterson1 on Twitter and at SFBay.ca for full coverage of 49ers football.